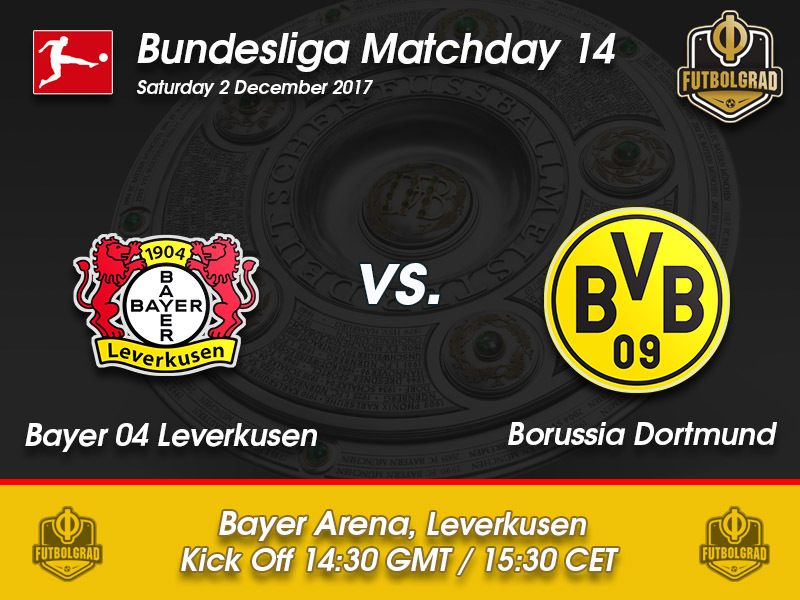 Bayer Leverkusen vs Borussia Dortmund – Saturday 14:30 GMT /15:30 CET – Bayer Arena, Leverkusen. There aren’t many coaches under the pressure currently felt by Dortmund’s Peter Bosz. After a dramatic collapse against closest rivals Schalke last weekend, die Schwarzgelben’s visit to the Bayer Arena could be the Dutchman’s last outing on the BVB sideline should they not pick up a respectable result. 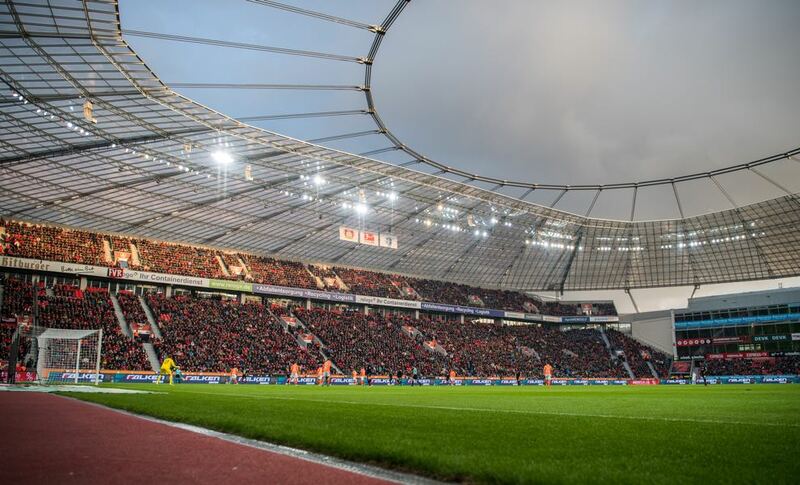 Meanwhile, Heiko Herrlich’s die Werkself are unbeaten in eight Bundesliga fixtures and haven’t lost a game at the BayArena all season – The worst situation possible for the visiting Bosz. Bayer Leverkusen have been quietly going about their business. After a topsy-turvy season in 2016/17, the once regulars in the Champions League now seem to have captured some stability. A 3:1 defeat away at Mainz on Matchday 3 saw die Werkself fall to 17th place – however, since then they have risen to their current standing of sixth. Buoyed by a magnificent away performance at Borussia-Park this was swiftly followed by a professional display at home, against relegation-threatened Köln. Striker, Kevin Volland is the highest scoring German in the Bundesliga this season, his goals have powered the last three games directly. Bayer also have one of the most exciting youth prospects currently found in the Bundesliga, Kai Havertz. Scoring a hattrick against Borussia Mönchengladbach, the 18-year-old indicated his emerging talent. With visitors Dortmund now the very essence of a team ‘on the ropes’, die Werkself will fancy their chances of picking up another victory at home against their visitors, matching their result last season in this fixture. Borussia Dortmund are a side in freefall. Peter Bosz’ Schwarzgelben fizzled out in the Champions League and then, unbelievably, let a 4:0 halftime lead slip to neighbours Schalke. 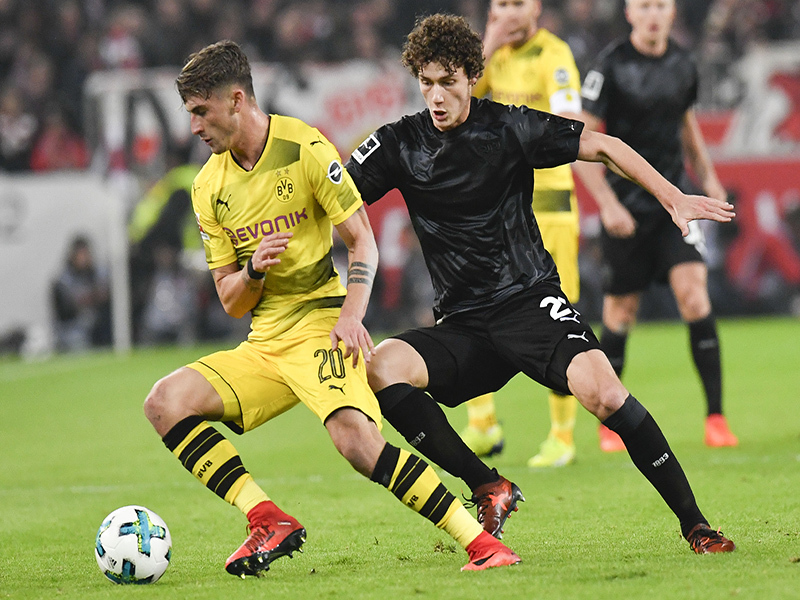 The Royal Blues hit Dortmund hard, with four spectacular second-half goals, the final one coming in added time to cast the biggest of shadows across Bosz’ future. German outlet BILD had revealed the Dutchman had two games to save his career at the Westfalenstadion. With both those games giving unfavourable results it comes as no surprise to hear the revelation that anything bar a victory at the Bayer Arena will result in ‘curtains’ for the 54-year-old. Increasingly concerning for the Dutch coach is just when he needs the biggest of results, he has one of the biggest unavailable player lists in the league. For their trip to Leverkusen, Dortmund find themselves without a core of highly influential playmakers. Striker Pierre-Emerick Aubameyang is suspended after his dismissal in the Revierderby. Mario Götze is side-lined with damage to his ankle ligaments, whilst the backline is dented by injuries to both Roman Bürki and Łukasz Piszczek. The 21-year-old native of Bremen has three assists and three goals from his 13 Bundesliga appearances this season. Reports of a summer departure were premature and die Werkself will be exceptionally glad they managed to retain the services of their German international. 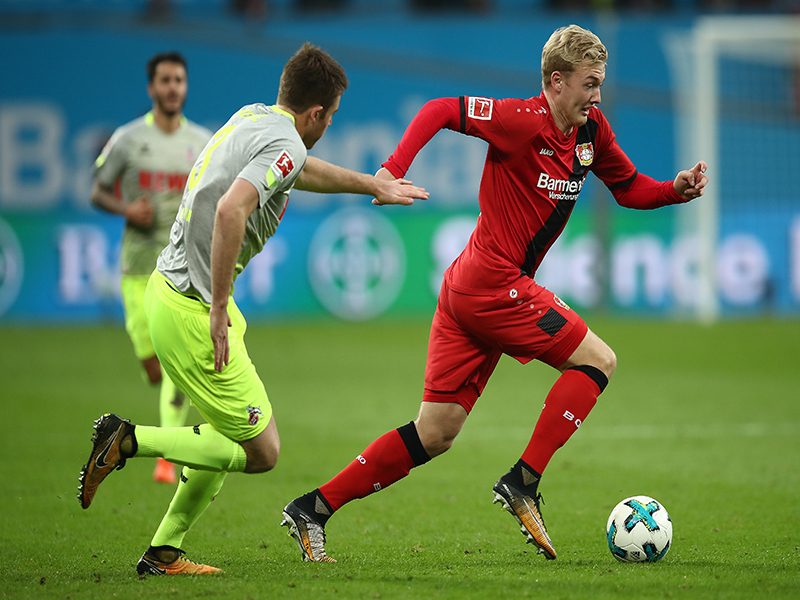 Operating on both flanks and through the middle, Brandt has given a degree of flexibility to the way Herrlich sets out his match-day squad. Causing havoc to opposing defenders when given the space to drive at them, Dortmund must be wary of the pain Brandt can inject on Saturday. However, while denying him space to attack they must also be careful not to give him too much time in possession, spotting a through ball is one of the German’s specialities. Although collectively Philipp has been part of a Dortmund collapse, on a personal level the ex-Freiburg attacker has settled into life at the Westfalenstadion rather well. In the ten league games he has featured in under Peter Bosz, Philipp has scored six and assisted a further three. It is this consistency that Dortmund will lean towards on Matchday 14 to drive home a positive result. Rested for the visit of Schalke he should be one of the freshest players that the Dortmund head coach can look towards. The attacker is most at home cutting inside the opposition and dispatching a well-placed shot – however, given the room he can work a crafty doppelpass to get in behind the final defensive line. Leverkusen are unbeaten at home this season. BVB haven’t won in six matches, dropping 16 points over those fixtures. Heiko Herrlich has seen his Bayer side score in every league game this season. BVB enter this crucial fixture missing five first-team players through injury and suspension. Last time these sides faced each other, Dortmund blew Bayer away at SIGNAL IDUNA PARK 6:2 – Signalling the end of Roger Schmidt at B04.